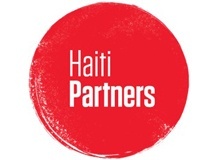 Haiti Partners is a non-profit organization building schools and training thousands of teachers, leaders, and students in the principles of organizational democracy, social enterprise, and education. It’s our experience that democracy and freedom at work is the best way to create conditions for people to engage enthusiastically and bring their best selves to what they’re doing. As a non-profit that is supporting a school-based community development model, this is the best way to grow future leaders and to nurture a new leadership and education paradigm.